Whether you're a tennis fan or not, there's no escaping Wimbledon and as the country gears up for the start of this year's annual competition, there are plenty of ways to get involved. 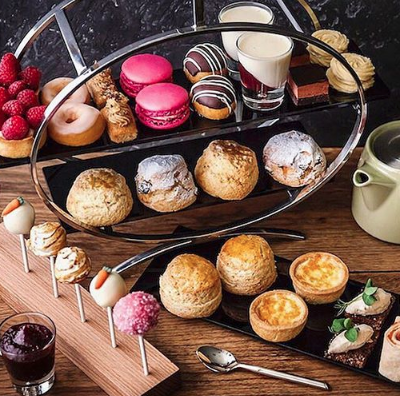 Now, afternoon tea and sport probably aren't the most natural of bedfellows, but when it comes to Wimbledon, sweets are definitely on the menu, as hotels around the country launch their annual tennis-themed offerings this month. Expect lots of strawberries, cream and prosecco. 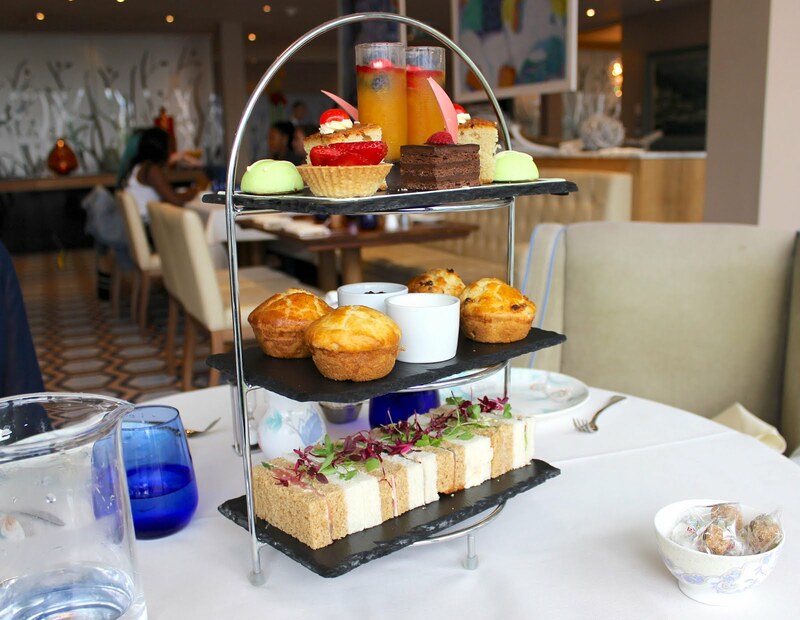 Continuing their partnership with Whittard of Chelsea, the Chelsea Harbour Hotel has created a delicious "Wimbledon Afternoon Tea" featuring a whole host of tennis themed treats, served on beautiful turquoise and lavender crockery. 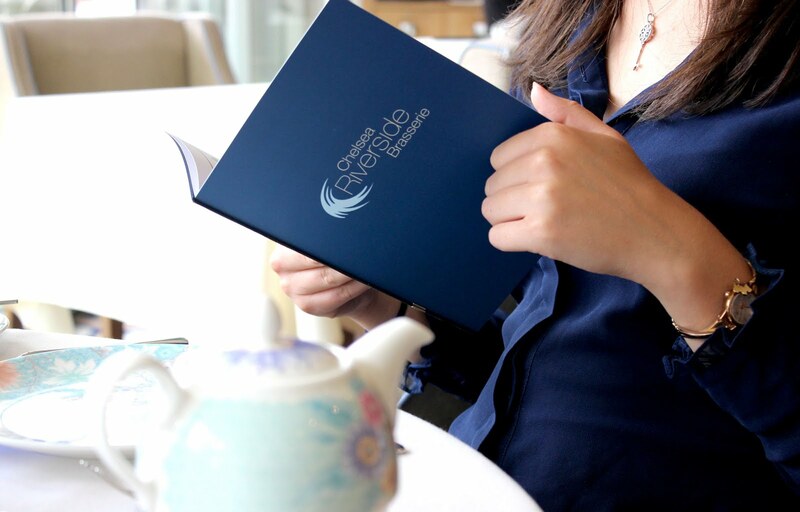 Upon arrival, you're welcomed to the hotel with a choice of tea from the extensive Whittard collection, which includes classic Breakfast, Earl Grey and Darjeeling blends, along with a range of summer floral teas such as English Rose and Piccadilly Blend. For a £2 supplement, you can also try out the brand's 'Speciality Teas' which promise something a little more extravagant for those tempted to try. During our visit, I opted or the 'English Rose Blend' which is a fragrant black tea with subtle rose hints, which complements the summery vibes of the tea perfectly. It can be purchased from Whittards here and I can definitely recommend it to anyone looking to mix up their tea picks for the summer - safe to say I'll be buying a box for myself next week! On to the tea itself... Served on a slate three tier stand, the presentation is sleek and conventional, with a chocolate court outline embellishment on the the top, giving a nod to the Wimbledon theme running throughout. The sandwiches are served on a mixture of wholemeal and white bread, coming in a selection of flavours, which include: smoked chicken with chive mayo, honey ham with black bomber cheese, smoked salmon with horseradish and rocket leaves, and cucumber and mint cream cheese. 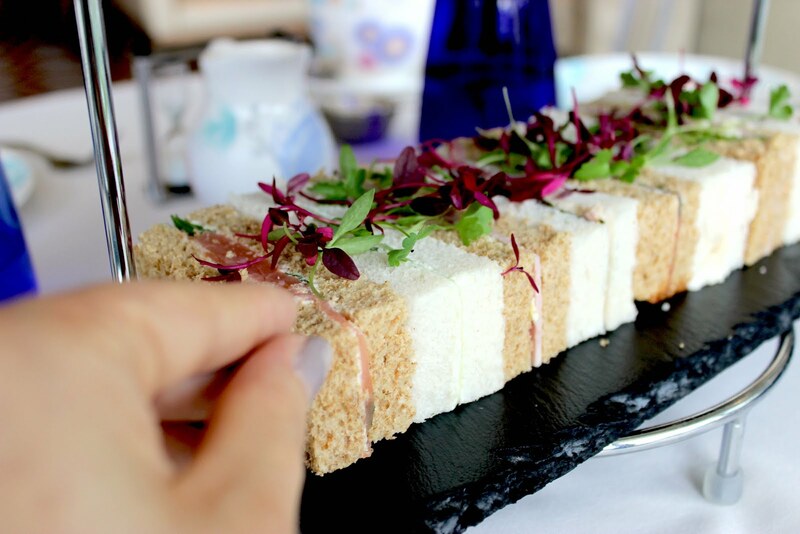 You can always tell when sandwiches are made fresh to order and I'm pleased to say that this was the case at the Chelsea Harbour - all four varieties were deliciously light and elegantly displayed with a salad garnish. When it comes to cake, this is where the tennis theme kicks in, with a variety of summer treats to really get the Wimbledon party started. Particular favourites from the selection included the apple and elderflower mousse cake, which comes in the shape of a halved tennis ball and the strawberry and cream tart, to send you to Henman Hill and back. To go alongside these treats were several other afternoon tea classics - which were to die for - festuring a delectable chocolate raspberry slice and refreshing Pimms jelly. Yum! All in all, we had a lovely time at the Chelsea Harbour Hotel. On a fine day you can dine on the restaurant's balcony, with views over the Harbour (and the amazing boats docked there!) 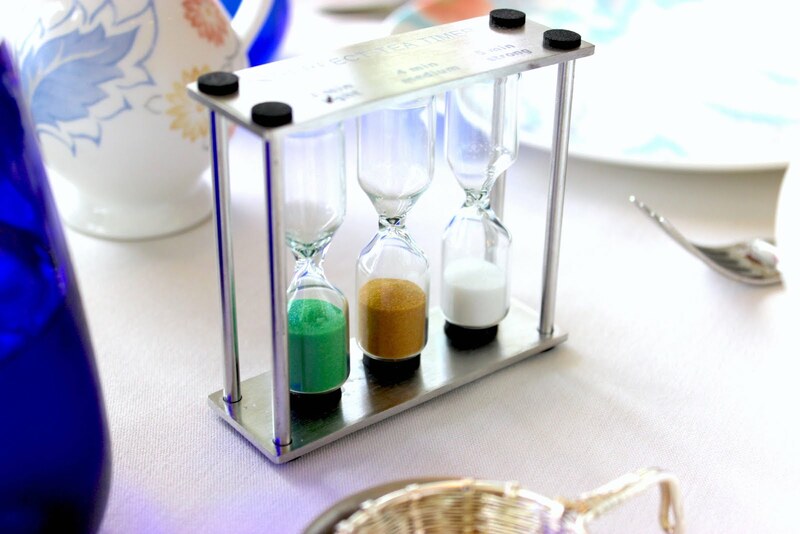 but if the weather's dull outside, then you also have the option to sit in the hotel's bar or brasserie. During our visit, we were served in the brasserie and whilst the decor was slightly on the tired side, the views out of the window were lovely - and if the newly polished interiors of the hotel's other public spaces are anything to go off, then I daresay a facelift may be on the horizon soon! 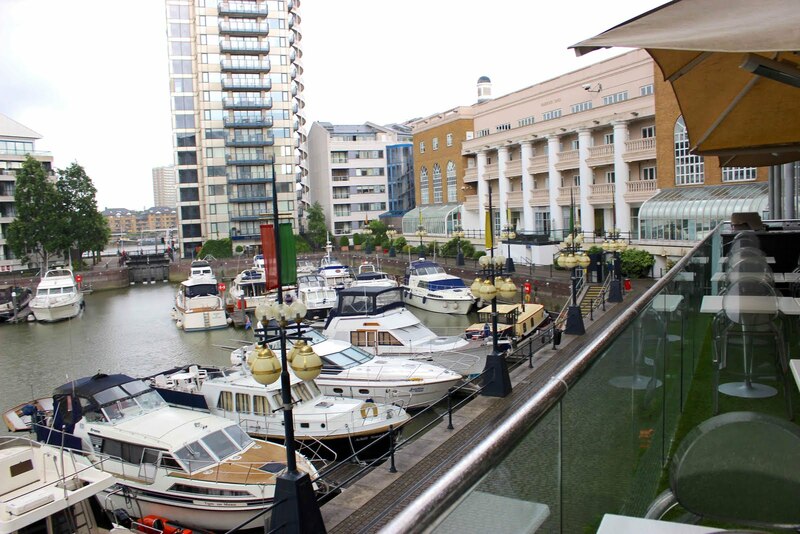 If you're looking to do something different to mark the Wimbledon season then give Chelsea Harbour Hotel a look in. 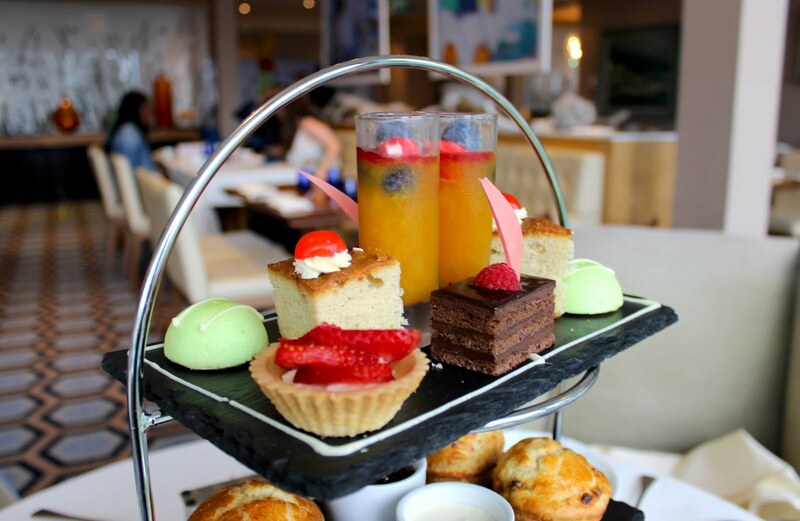 The food is delicious and at the VERY competitively priced tag of £22pp (£30pp with a Bellini) it is one of the best value afternoon teas that I've come across in London. 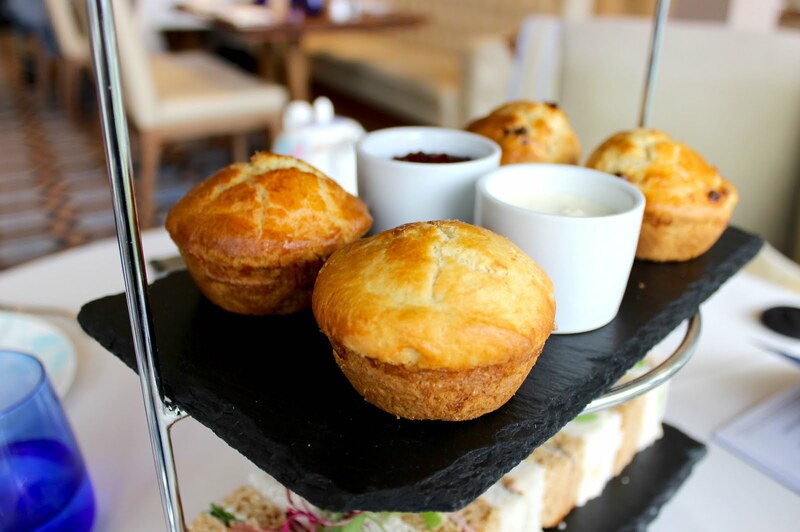 Have you tried a Wimbledon afternoon tea before? 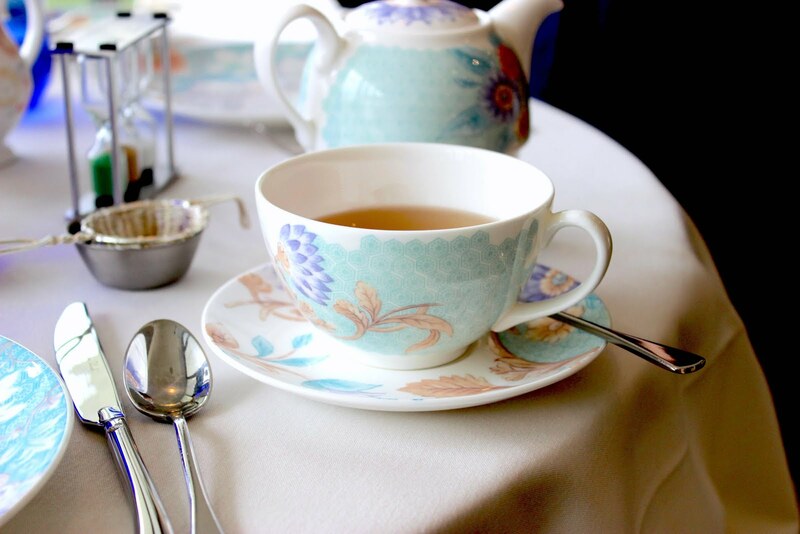 We were kindly provided with a complimentary tea for review, but as usual all thoughts and opinions are very much our own!